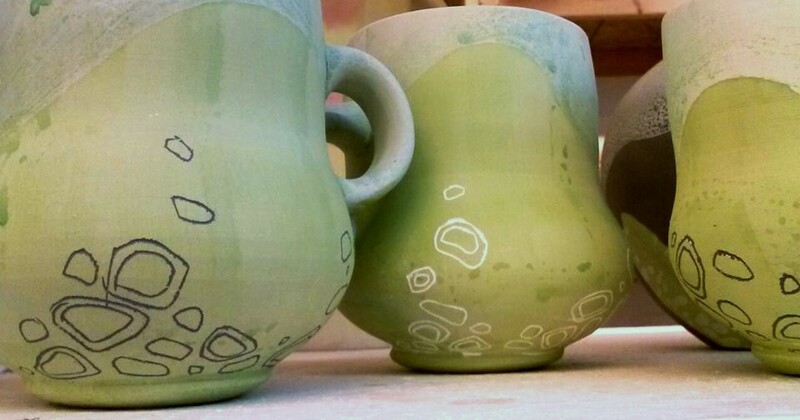 ← Mastering my ceramic surfaces! 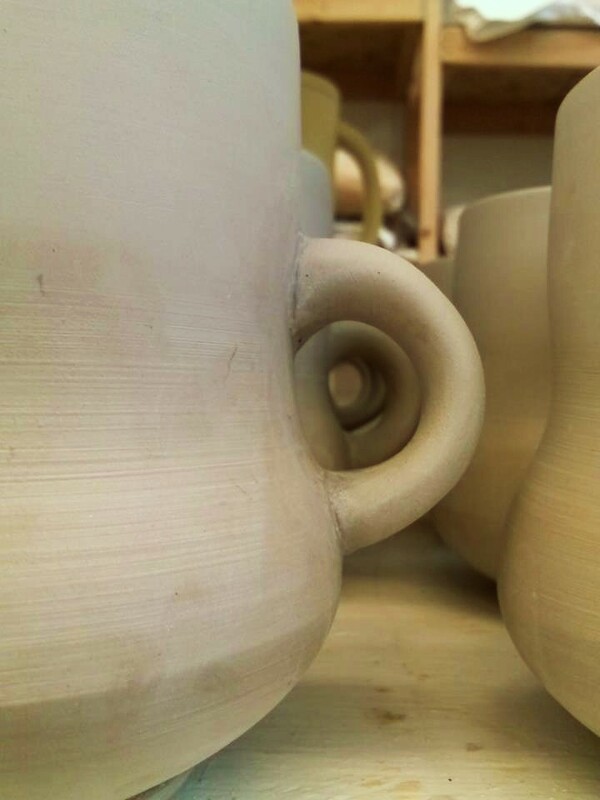 Alright, so once upon I time in my ceramic education at Utah State University, someone told me that you always make the same handle for every mug. I’ve been trying to prove that theory false with the evolution of my mug handles. I have different methods of handle making, and I’ve been pulling thinker rounded handles. I’ve always attached my handles after they’ve been pulled, but I have recently changed the way I pull handles. I am making them thicker and shorter, and a little rounder in cross section. I’ve been trying to aim for that perfect balance between attachment thicknesses where the middle of the handle is slightly thinner than both attaching ends, but I like to keep the top attachment thicker than the bottom one. 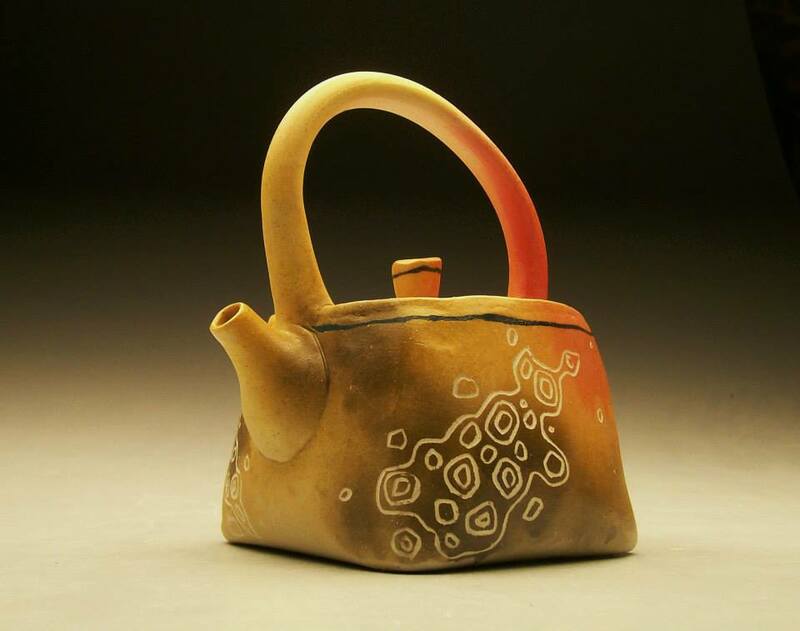 This entry was posted in Art, Ceramics, Design, Drawing, Painting, Science, Uncategorized and tagged ceramic art, gift idea, handmade, Kira Call Ceramics, mugs, pottery, teapot. Bookmark the permalink.